As Autumn grips the Southern Hemisphere, so Spring begins to blossom in the North where Wild Pixies of the enchanted woodlands emerge. This enchanted woodland serves as the backdrop for this colourful Video Slot. 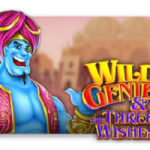 Throughout this charming slot game, players will encounter the Wild Magic Butterfly along with a Sparkling Diamond Scatter. These two magical symbols are the key to your winning combinations. 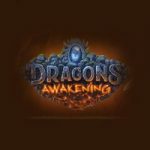 Welcoming a trio of Scatter Diamonds simultaneously will trigger the Roaming Wilds Bonus Spins Feature. These Diamond Scatters only appear on reels 1, 3 and 5. At this special moment, players will be transported to an enchanted clearing in the forest where you can uncover the wild pixies’ secret riches. There is a Scatter Nudge Feature that activates randomly at the end of the Spin. If there is a Scatter Symbol just above or below on reel 5, that reel then nudges either one up or one down. In doing this it adds the Scatter symbol on the screen and triggers the Roaming Wilds Free Spins Feature. This feature is triggered either by Three symbols on the three reels, or through a Scatter Nudge. 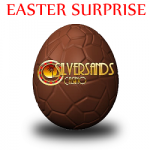 You will then be rewarded 8 Free Spins. During the Free Spins, 3 sets of two empty spaced are present at the top of the reels. Whenever a Wild symbol is present during a free spin, one empty space is filled. When both positions are filled, the Wild symbol then transforms into a roaming Wild and return to the reels in random positions. 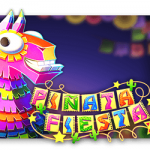 2 additional Free Spins and then rewarded. Roaming Wilds remain on the screen until the end of the round and move to random positions on every spin. When all the sets are completed, no further natural Wilds are collected. Special Reels are onky I play during this feature. The Wild symbol substitutes for all symbols other than the Scatter Symbol to enhance all winning combinations from left to right. The game is played over 5 reels and offers 20 paylines. 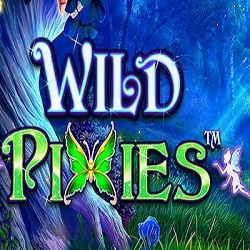 This entry was posted in Casino Games and tagged Play Wild Pixies by Pragmatic at Slotsmillion, Wild Pixies Review on April 16, 2019 by Casino Admin.